Earlier today in a Japan-only Nintendo Direct, Satoru Iwata has announced that a sequel to Daigasso! 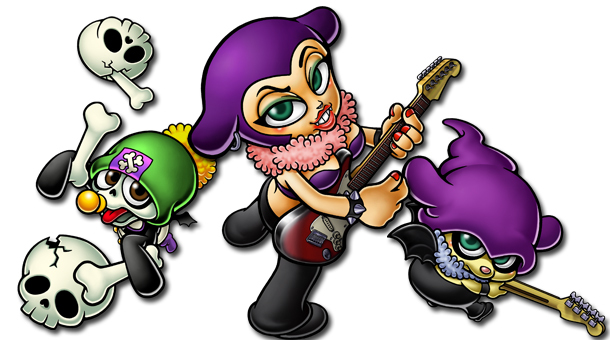 Band Brothers, or Jam With The Band as it’s known internationally, is on its way to the 3DS. Called Daigasso! Band Brothers P in Japan, you’ll once again be able to play various songs with a number of instruments. This time, the instrument list includes your own voice. As well as creating your own avatar using the 3DS camera, you can record your own voice and manipulate how it sounds using Vocaloid. You’ll also be able to record over and save existing songs in the game as well as create your own, which appears to be a big focus this time around. Jam With The Band was an interesting music rhythm title that was released on the DS in Japan back in 2008. It wasn’t until 2010 that the title was released internationally. However, the game was only released in Europe, leaving us North Americans having to import it in order to experience it. With the 3DS being region-locked and everything, I sincerely hope that Nintendo isn’t so stingy with the localization this time around. The thought of making a creepy avatar with an auto-tuned version of my voice is too entertaining to not play around with. Daigasso! Band Brothers P will be released in Japan on November 14th. You can watch a trailer for the game below.